For the 100th Beholder scrapbook post, another reification from The Knot-Shop Man stories. On page 94 of “Water”, young Jack is told he should gat a tattoo of knots around his upper arm. This is to prevent the serpent that is writhing on his forearm (after Jack had inadvertently untied the Last Knight Errant of All’s knot of warding) from worming its way up to his heart. Outside the pages of the Knot-Shop Man books, at least one arm in this so-called real world has such a device inked upon it. 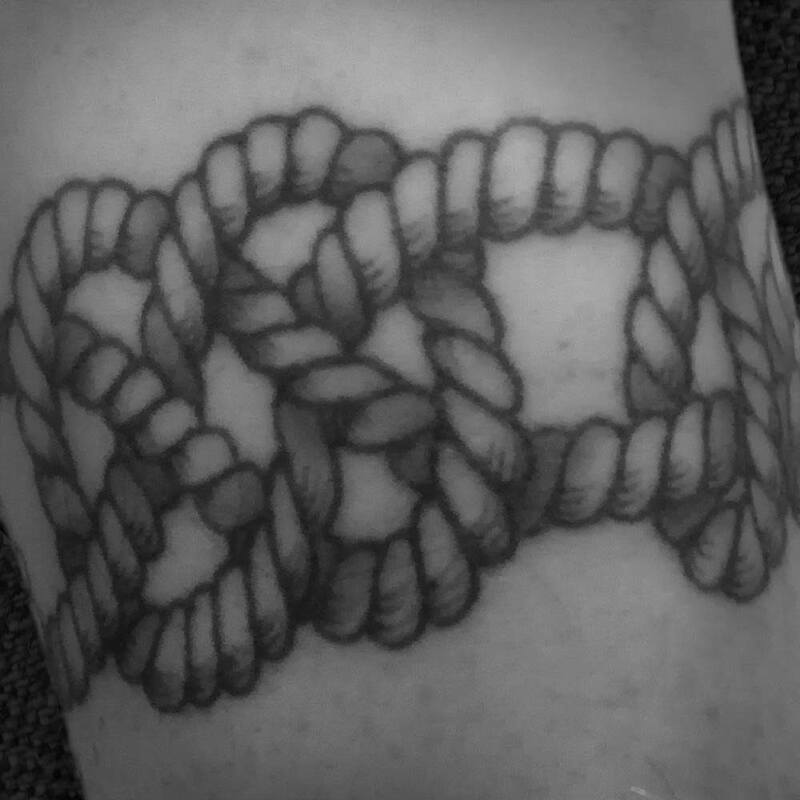 This specific tattoo is formed of two endless ropes knotted with elements suggestive of a Catspaw bend, an Overhand knot, a Carrick bend and a Magnus hitch. If you’ve read the books, you might recogise the names. The illustration is mine, but its execution was by Amy/@amyinks (whose own pieces are much more accomplished than this sort of thing) in 2014.